Pebb Capital hired its student housing partner Todd Benson as a partner and managing director of development and asset management. Benson is folding his company, Collegium Capital, into the firm as Pebb Capital Student Living. The student living division currently includes the acquisition and development of nearly 6,000 beds in 10 properties across the country. The move is a sign of Pebb becoming more vertical. In addition to growing its student housing division, Benson will also work on Pebb’s Opportunity Zone funds, preferred equity platform and opportunistic investments. Benson founded Collegium Capital in 2013, and partnered with Pebb a year later on acquiring and developing roughly 6,000 beds in Florida, Arkansas, Georgia and across the country. 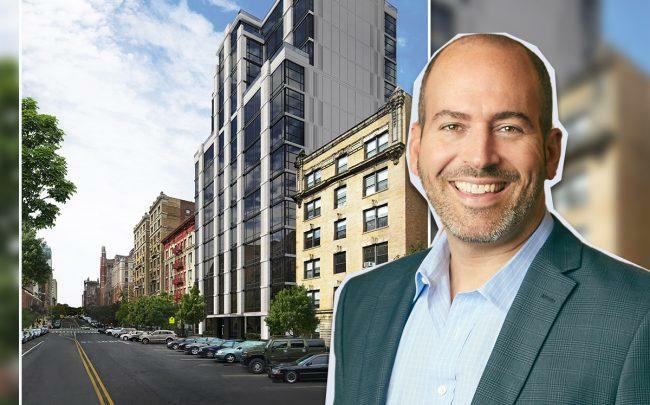 While it initially focused on state school markets, it later pivoted to building and buying properties near private universities, like a recently completed student housing project at 15 East 11th Street near New York University. It’s also working on a graduate student housing concept in an Opportunity Zone in Rhode Island. The company is bidding on several properties in New York City, Benson said. Since Pebb Capital and Collegiate starting investing in student housing in 2014, there’s a lot more capital chasing the same deals, he added. Pebb Capital is based in Boca Raton in the same building as Pebb Enterprises. Pebb Capital, led by Jeffrey Rosenberg, Todd Rosenberg, and Ian Horowitz, split off in 2014 from Pebb Enterprises. The companies still do business together. In November, they sold a retail center in Wellington to MetLife Investment Management for $74 million, with plans to invest the proceeds of the sale into Opportunity Zone sites.